Ooh La La! A romantic Paris theme. 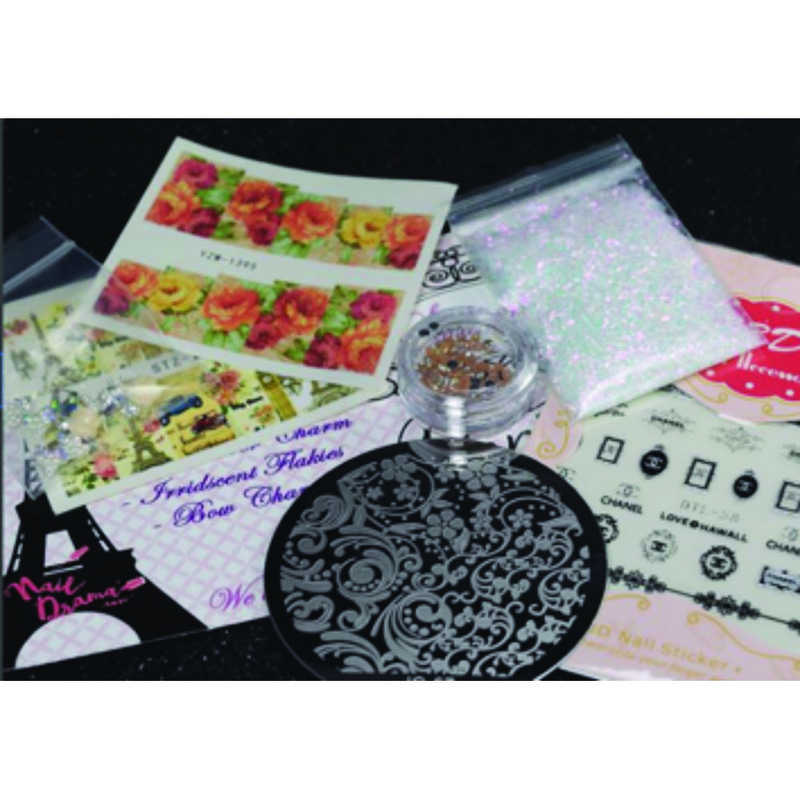 Stamping plate, decals, charms, stickers and glitter. August 2017 NailDrama subscription box.